Guest Blog Post: Giving Up Your Darlings – Love. Life. Practice. ”Dear intention at home, I love notebooks. Recently I was getting ready to go on a trip, and I was having a very hard time trying to figure out what notebook to take with me. I didn't want to take them all, because it would be too much and I would feel silly, but at the same time trying to figure out which one would be "the best" was just about impossible. How can I figure out what really gives me the "spark of joy" and what I really need to learn how to let go?" Sincerely, Totally Not the Guy You Live With. For me, as a minimalist (okay, I’m getting better at it), I would suggest sitting down with a favorite notebook and making it one that is specific for your travel. I would find tabs or ways to easily break it into sections for each project. There can be a section for notes, a section for each work project, etc. That way when you get home you can easily find the notes you took or ideas you had for those projects. Make it very uniquely your travel notebook. If that does not work for everything you need, I might suggest you have one notebook for sketching, one for work notes and ideas, and one for non-work related ideas. 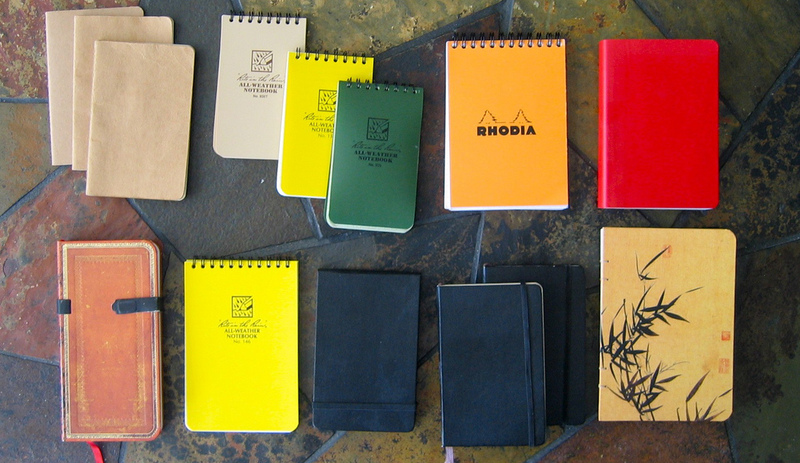 This will limit the number of notebooks but give you more options. I would also make these uniquely for travel. If you have them just for travel they will spark joy and the excitement of the adventure to come when you pick it up. What ideas do you have? How would reduce your favorite items when packing for a trip? Natasha started Intentionathome.com in the hopes of helping people find balance and relaxation in their environment and life. She works with people one-to-one to help them declutter and be mindful. Being in the present moment helps us all to let go of the things that cause us stress and weigh us down.